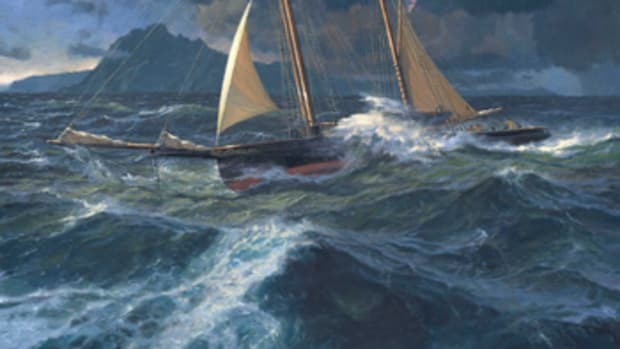 Christopher Blossom grew up with a passion for the sea. 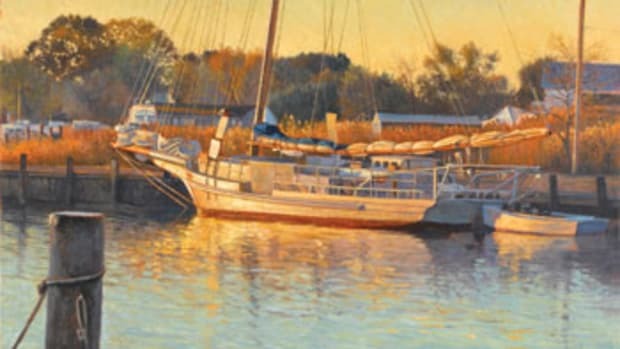 He learned to sail at age 6 and later crewed aboard the brigantine Young America. 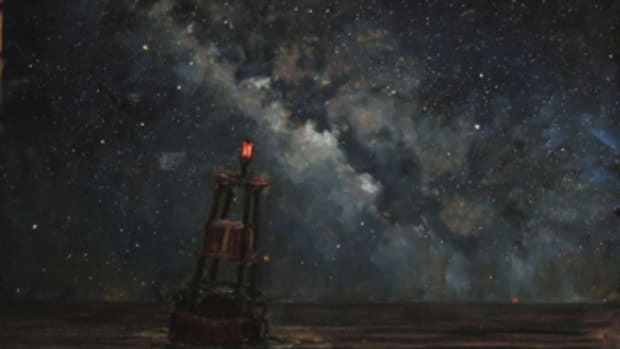 “When I look at the ocean, I get the same feeling pilots must get when they look at the sky,” he says. 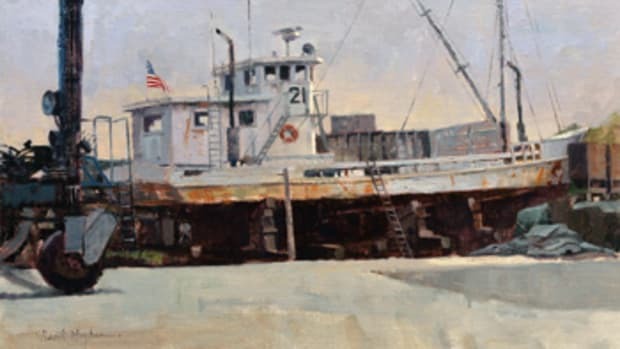 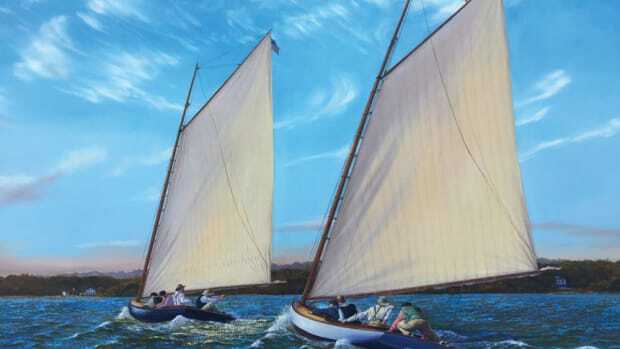 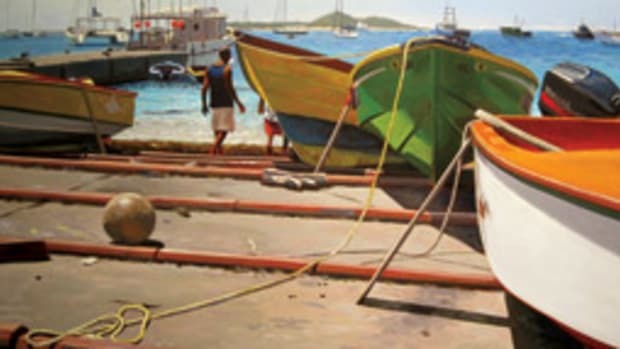 His love of the sea and an artist’s eye made Blossom an award-winning painter at age 20 and a charter member (and president) of the American Society of Marine Artists. 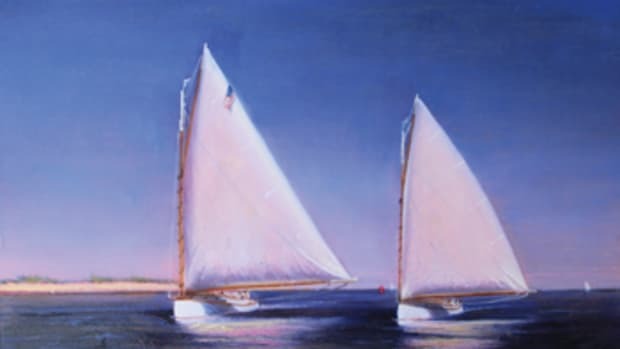 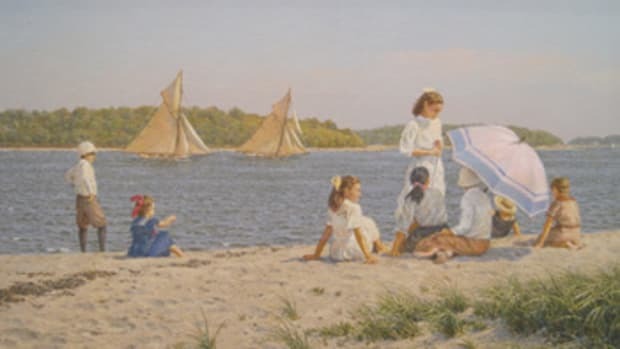 A graduate of Parsons School of Design in Manhattan and a member of the Society of Historical Artists, Blossom is best known today for his historically accurate paintings of ships and harbors. 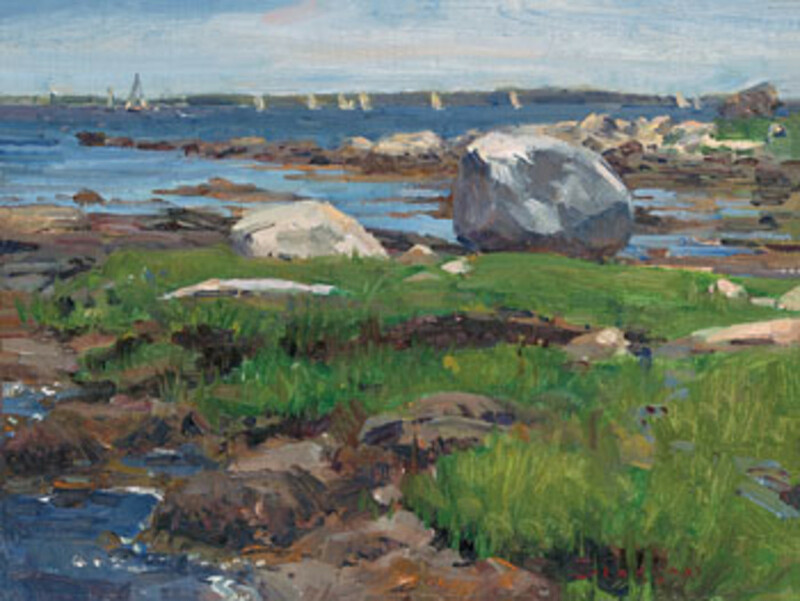 To view this and other works by Christopher Blossom, visit the J. Russell Jinishian Gallery website at jrusselljinishiangallery.com or visit the gallery at 1899 Bronson Road in Fairfield, Connecticut.